One of the largest metropolitan areas in the United States, and one of its most diverse, Houston is home to millions of women with different cultural backgrounds, financial circumstances, and levels of health insurance. The state of Texas has one of the highest uninsured rates in the country and alarming rates of cervical cancer as well. 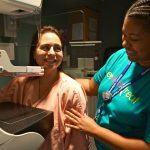 Within Houston’s vibrant and diverse neighborhoods, barriers prevent large populations from receiving regular cervical and breast cancer screenings, often leaving dangerous diseases untreated. The results can be devastating. The CAP Foundation is proud to reach nearly 350 Houston-area women with potentially life-saving diagnoses. We are also proud of the evidence-based model that makes it possible to get same-day results. 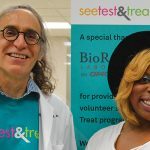 This October, See Test & Treat® banded together three pathologist-led teams at Houston-area health centers, each with the goal of delivering free cervical and breast cancer screenings to 100 women. 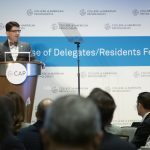 Kyle L. Eskue, MD, FCAP, was the first pathologist leader up to the challenge on October 1. 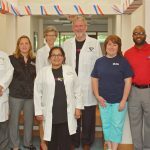 He helped organize a See, Test & Treat program at Lone Star Family Health Center that targeted underserved Hispanic and Caucasian communities. 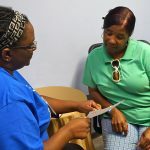 With both English- and Spanish-language resources, nearly 100 women heard about the program, received crucial screenings, and participated in health and wellness education. Dr. Eskue is no rookie when it comes to leading a humanitarian team. He’s led two previous See, Test & Treat events that have reached more than 200 women. 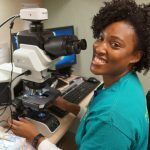 Next up were Donna M. Coffey, MD, FCAP, and Patricia Chevez-Barrios, MD, FCAP, a pair of determined pathologists at Houston Methodist Hospital. 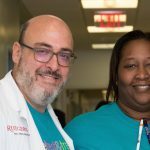 They worked side by side with CAP Foundation Board members, Sonia C. Robazetti, MD, and Joseph Lucci, MD, on October 8 to bring See, Test & Treat to Sunnyside Health Center, a clinic that serves a low-income neighborhood where many African American women lack health insurance. High levels of patient care showed that the program was direly needed. Several women with abnormal Pap tests required same-day colposcopy some augmented with LEEP procedures. Along with diagnostic mammograms, clinicians provided lifesaving follow-up care for patients. 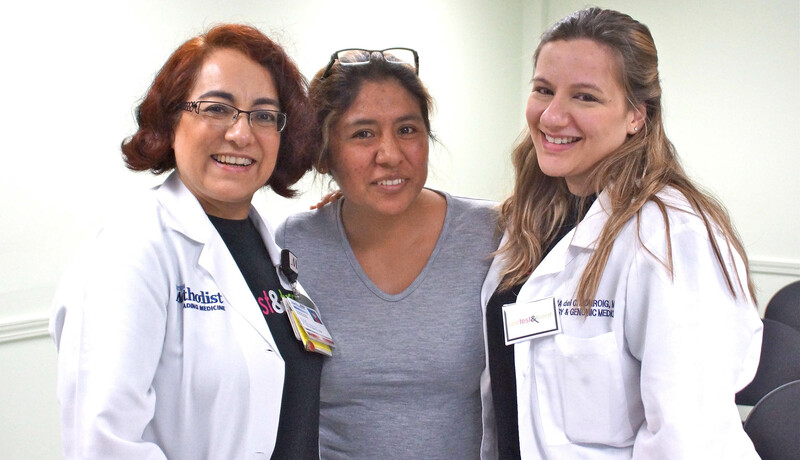 Paloma Monroig-Bosque, MD, recalled delivering good news to a nervous patient named Bertha, who became visibly relieved and hugged her doctor. 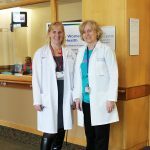 “When I go back to the lab on Monday, I will remember how nervous this patient was before I delivered her diagnosis and how relieved she was when I told her that her Pap test was normal,” Dr. Monroig-Bosque said. The third wave was delivered by Jing Liu, MD, FCAP, and her team at the UT Physicians Bayshore Multispecialty Clinic, with Pap specimens processed at UT Health Sciences Center in Houston. 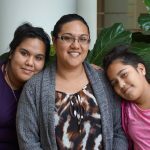 The October 29 program aimed for the same targets as the previous two, also serving 100 at-risk women. 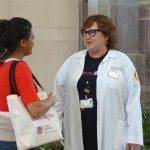 Breast and cervical cancers are expected to take the lives of nearly 3,400 women in Texas this year, according to the Texas Cancer Registry. 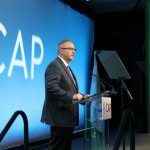 With persistent leaders and compassionate donors, the CAP Foundation can continue to expand the number of life-saving diagnoses we deliver in the state.